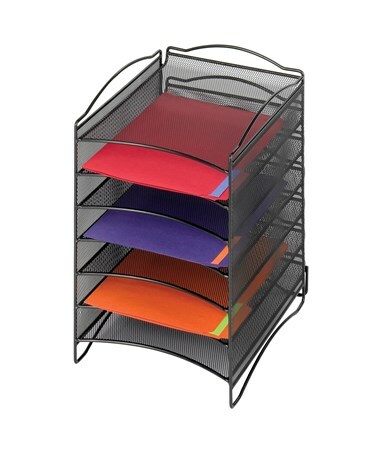 The Safco Onyx Mesh Shelves Literature Organizer is a stylish organizer for stylishly sorting documents that fit on any tabletop. 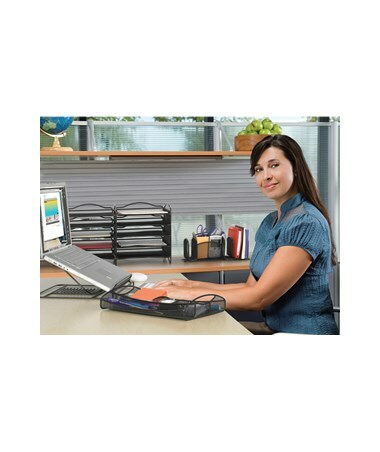 Its shelves or compartments are 9.5 inches wide, which fits letter-size documents and has a capacity of five pounds each. 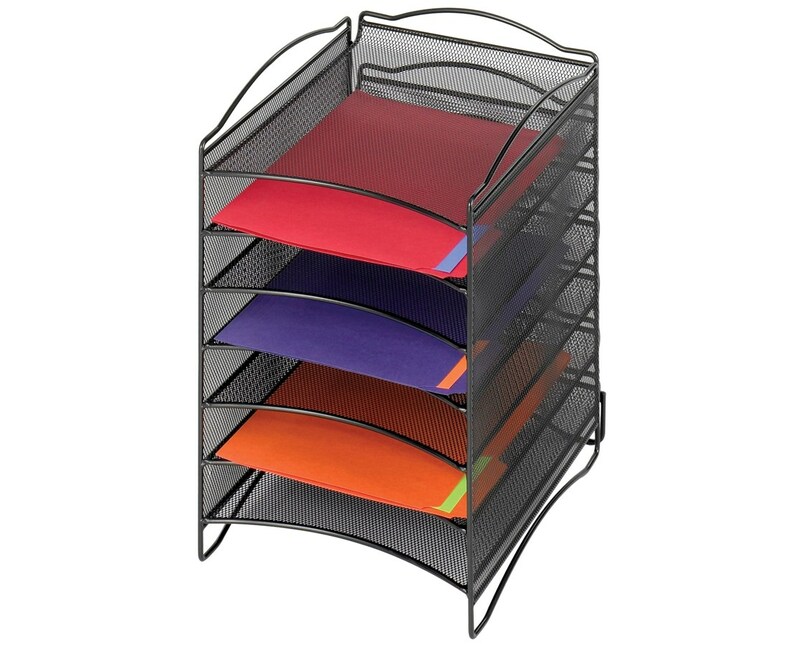 This desktop organizer can also be stacked up to two units high for additional storage. 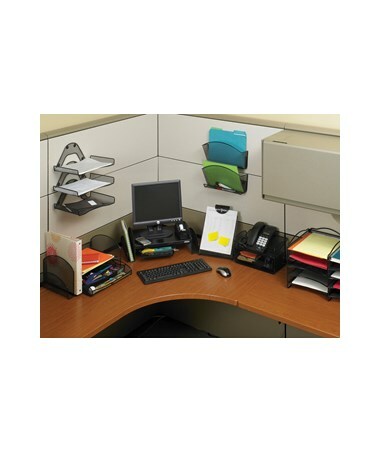 It is constructed from steel mesh and has a durable powder coat finish. Its GREENGUARD rating certifies that it is safe for indoor use. 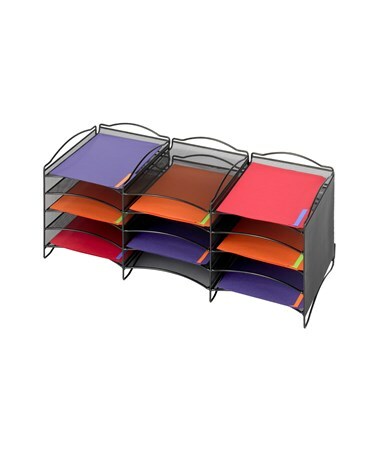 The Safco Onyx Mesh Literature Organizer is available in a different number of compartments. Please select your preference from the choices above.